Justin Timberlake Archive - Two Critics Choice Awards Nominations! You are here: Home / News / Two Critics Choice Awards Nominations! Two Critics Choice Awards Nominations! Congratulations to JT and Trolls! "CAN'T STOP THE FEELING! ", which Justin wrote and produced, has been nominated for Best Song in the 2017 Critics Choice Awards. 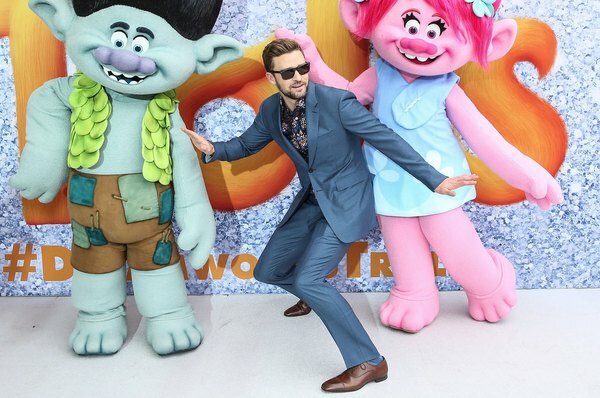 Meanwhile, DreamWorks Trolls, in which he starred in and served as executive music producer, also received a nomination for "Best Animated Film". Thank you to the members of the Broadcast Film Critics Association for these nominations! Be sure to tune in on Sunday, December 11th at 8PM ET/5PM PT to watch the Awards!